What a great autoethnography. As a lecturer (and previously attender of training programmes) I hope I don’t feature in one of these! Excellent article. 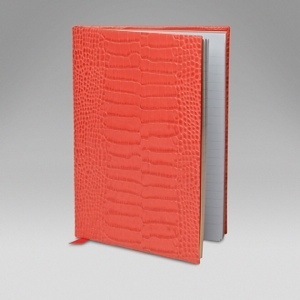 I firstly like the notion of ‘sentient feel’ where you keep with the beauty of the croc material. One can just imagine the pleasure you get just from picking up each file. This must certainly be one effective way of getting over procrastination to write. Secondly, the ‘side by side’ method looks a good one. Through this you can see an advance in your ideas, as well as holding on to the original ideas just in case. Thirdly, the cognitive trick of using different coloured pens appeals. Overall, I am reminded of Professor Harry Scarbrough’s notion of ‘knowledge in bits’, where, as human beings, we gather snippets of knowledge on particular themes and these build to form our framework of understanding on a theme. You certainly seem to have cracked this! I had one question…where do you write? Looking forward to his reply.